Eight legs, two body regions, no wings or antennae. 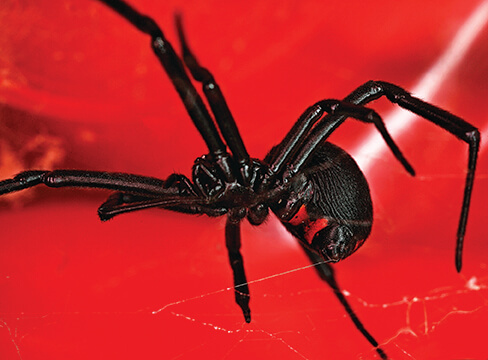 Some spiders like moisture and are found in basements, crawl spaces and other damp parts of buildings. Others like dry, warm areas such as subfloor air vents, upper corners of rooms and attics. They hide in dark areas. They feed on insects, other spiders and any other prey they are able to subdue. Females produce an egg sac from which emerge spiderlings. Spiderlings undergo a series of molts and eventually become adults. Males of many spider species court the female. For example, male jumping spiders perform elaborate dances to attract the attention of a female. Mating can be a dangerous event for males, since they may become a meal for the female afterwards. Tens of thousands of spider species have been identified throughout the world. These arachnids have eight legs and two body segments. Spiders have three or four pair of eyes. Many spiders have poor vision, but some species of spiders, such as the jumping spider, have exceptional vision. Spiders do not have chewing mouthparts and commonly utilize digestive enzymes in their saliva to break prey down before consuming it. Additionally, the gut of a spider is too narrow to allow for consumption of large food particles. Almost all spider species are predators, although one plant-feeding species has been documented. How Do They Get in the Home? 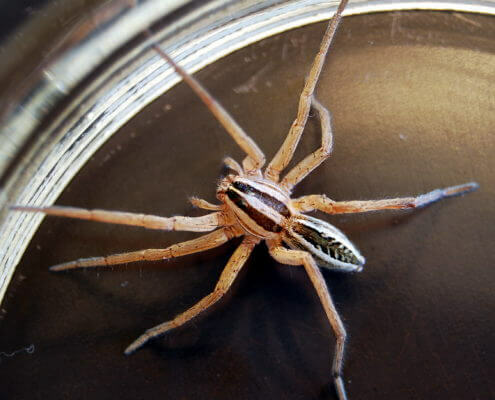 Spiders commonly enter homes in two primary ways: entering through open, poorly screened windows and doors and through cracks and gaps around door and window frames. Most of the time, spiders come inside the home looking for prey. The other common method of entry is accidentally hitchhiking inside boxes, on outdoor items and numerous other things that are brought inside a home or business. 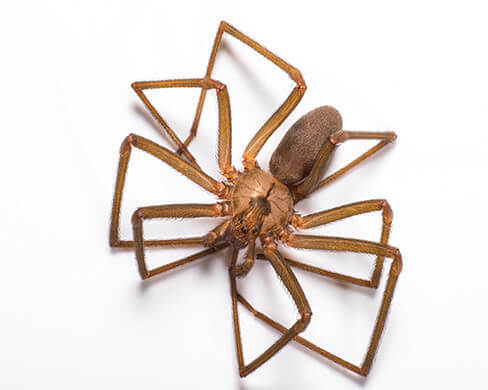 Contact your pest management professional if you find spiders in your home. Your pest management profession will conduct an inspection and a create a comprehensive control plan that is based on the inspection findings.